I fish with St. Croix rods. They’re made in Park Falls, Wisconsin, and for me that’s about as “buy local” as it gets. My favorite jigging rod is an Avid series 6’8″medium power extra-fast action. For slip bobbin’ I like a long rod and use the Triumph series in 7′ medium light fast action. It also makes a nice lower cost jigging rod. I have a pretty aggressive style of fishing but try to adapt to the clients’s pace. 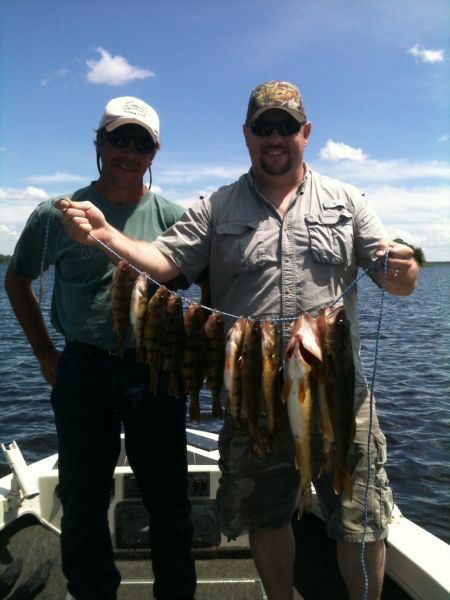 after all, it is often said, “life should be fun.” Well, fishing should be really fun! I encourage customers to opt for having a shore lunch. 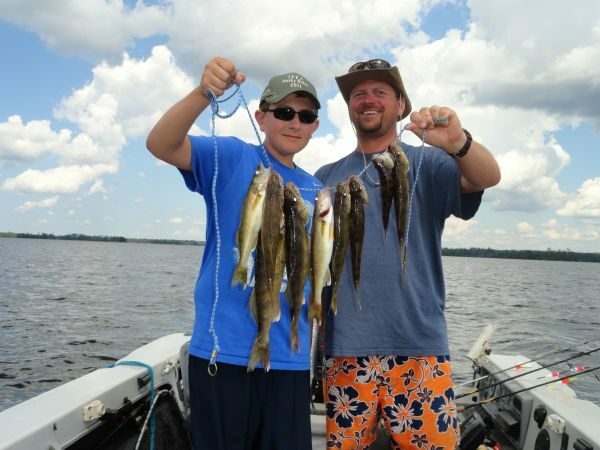 A fish fry over a campfire on an island is a fitting compliment to spending a day on the Flowage. It’s a little more effort on my end but I enjoy doing it and don’t count the lunch break into our fishing time. I also have it priced to mainly reflect my costs.